I just realized this today but.. Did Daisuke not give Weed a name? He calls Gin by his name of course, and he named Sirius, Orion, Rigel, and Bella. But all I remember him ever calling Weed was "Gin's son" or "little guy" etc... Did he really not bother giving Gin's son a name/nickname??? That's just sad. Especially when Weed has been in his and Hidetoshi's care multiple times..
Well, GB named Weed, instead of Daisuke... He couldn't know Weed's name. No, but I believe Limonzy is saying that they are surprised that Daisuke still didn't give Weed his own, separate name. Sort of like how Benizakura's name is Benizakura, but his human called him "Don". It's from the manga 55 Sai no Chizu by Kurosaki Kazuto, which has a weird two-panel gag depicting Yoshi and his team of assistants as actual dogs. Lol wut, that's so weird Weed is Yoshi? Why did the russians dogs start a war with ohu dogs? What did Maxime, Victor and Aramu want? And, what did Maxime say to his father when he returned, what did he tell him about Lydia, Victor and Aramu. They did not originally start a war with Ohu - they only wanted to invade Hokkaido so they could live there as their homeland Sakhalin (an island north from Hokkaido) was a very harsh place to live. Ohu joined the war to revenge Hakuro and everyone else who were killed by the Russians. Maxim lied and told his father that everyone starved to death and Hokkaido is barren wasteland where they can't survive. Sorry for a double post! I guess they wanted to keep costs low due to the length of the series and focused on the arc covered by the anime. Ive been thinking... is there any reference in GDW (or other sequels) about the Koga clan's past habit of being cannibals? Tesshin must know something, or did the elder leave that out too when he went back to Koga? I feel as though Tesshin would have been skeptical from the start if the elder mentioned that the Koga clan ate other dogs and wouldn't have turned on Ohu as easily. I 100% do not recall there being any mention of it but I forget things. It's very briefly touched on in the manga; when Kyoshiro is first telling Weed and company about the Koga dogs, he mentions there's a rumor that they used to (or possibly still do) eat their opponents. It's unknown whether or not Tesshin knew about his father forcing the clan into practicing cannibalism, but judging by the fact that he talks about "the sins of [his] father" and how he's spent his whole life seeking to atone for the crimes of his father (which... makes zero sense when you consider his introductory chapters in GDW, but anyhow) after Sniper slices his gut open, it's possible he was aware of it. I actually vaguely remember now when Kyoshiro mentioned it. Though I guess it doesn't go into much more detail than that... Does Sniper mention something then when he attacks Tesshin in the final parts of the Hougen arc? No, he just says that Tesshin shouldn't have made him his enemy and Tesshin starts talking about Kurojaki on his own. Sniper also calls Tesshin "Chibi" before correcting himself, which also sort of just raises additional questions but I digress. I don't remember what happened in manga but did Jerome kill Lector and Thunder? Come to think that he actually killed two spies and got kicked out. And in anime he killed Lector and Thunder. What happened? In the manga, Jerome killed the two hound spies. Lecter and Thunder are never seen again after Weed and Kyoshiro defeat them and it's unknown what became of them. 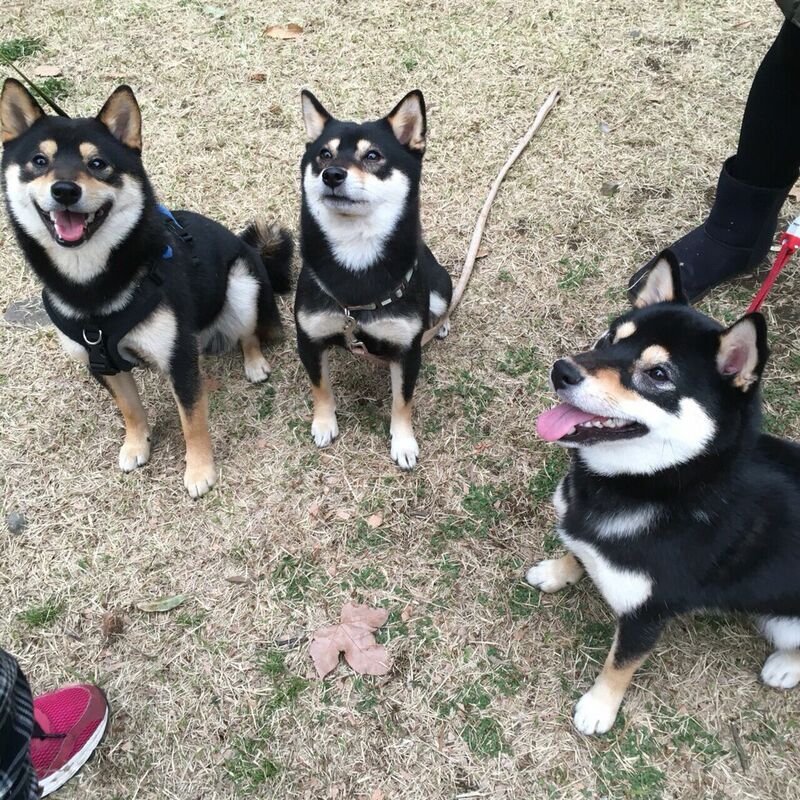 Alright, so in Ginga Fandom Wiki, it’s stated that Ryō, Ryū, Hanji and Heita (Jerome’s Assistants only showed in GDW Anime) are Shikikoku Inus but they mostly resemble a Kuro Shiba Inu. They could be Shiba Inus or mixes but their actual breed isn’t announced in anime at all as i remember. While their breed isn't stated in the anime itself, they're labeled as Shikokus in production materials. Ohhh! I never really looked at those sheets before.